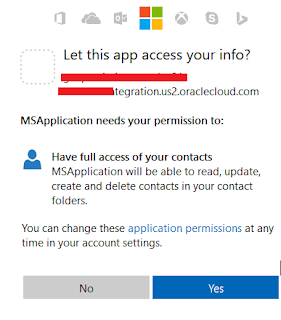 Oracle ICS provided Microsoft Contact adapter that allows us to create an integration with a Microsoft Contact application. Microsoft Contact Adapter in an Oracle Integration Cloud Service enables us to transfer files to a target Microsoft Contact server in an Oracle Integration Cloud Service integration. The Microsoft Contact Adapter is one of many predefined adapters included with Oracle Integration Cloud Service. 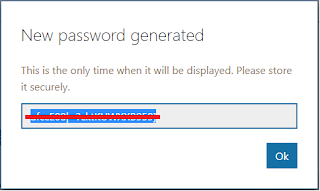 We can configure the Microsoft Contact Adapter as a connection in an integration in Oracle Integration Cloud Service. Now we have completed the pre-requisite and got the application id and secret key that is required to create a connection.